Yes yes I know...it's a bit early. 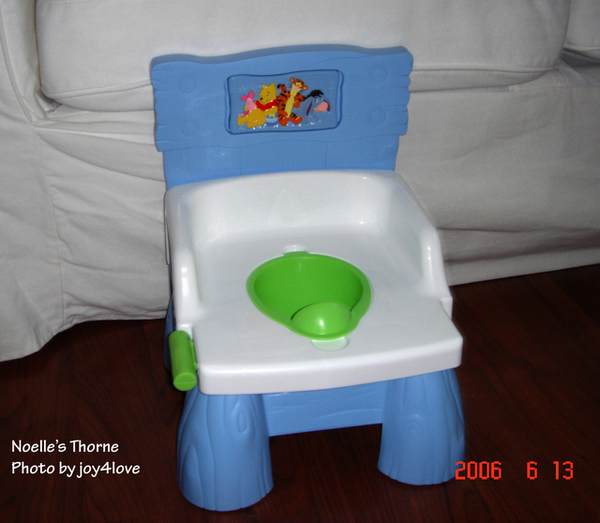 the wonders (ick...) of toilet sitting. and wanted to do what I do on it. 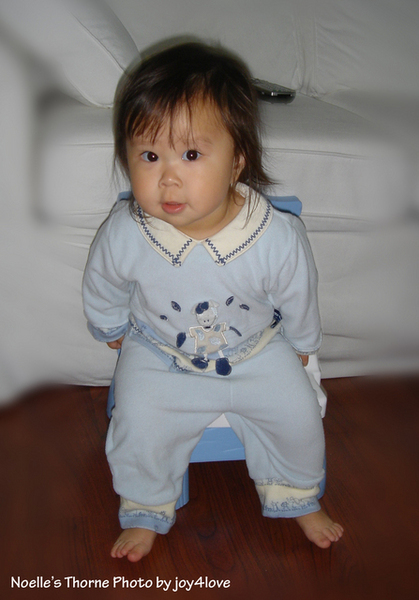 and got her a little 3-in-1 potty training, thing. Look at this fancy thing! She was actually happy to see the thing. "All done! *flush sound" and Noelle's been having fun with it as well. But...the bigger question is, "will she sit on it?" Though I was worried, she had no problem sitting on this "toy". Actually feels quite comfortable on it Mama.